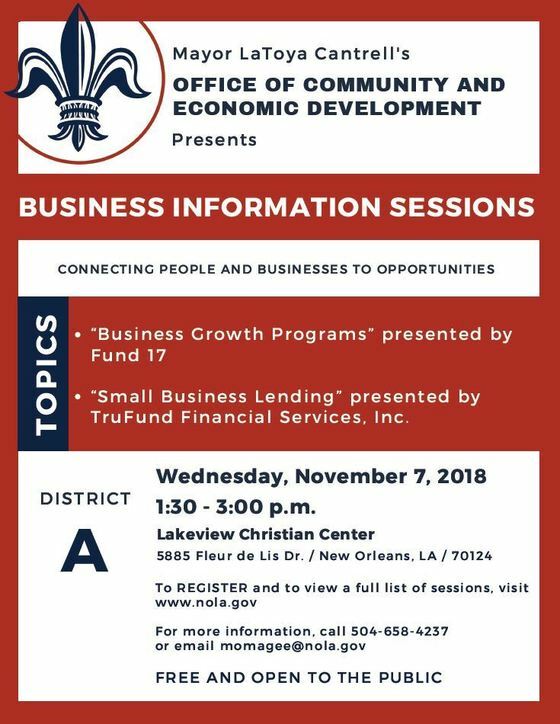 NEW ORLEANS - The City of New Orleans' Office of Community and Economic Development will host a "Business Information Session" tomorrow. The complete list of dates and locations can be found below. 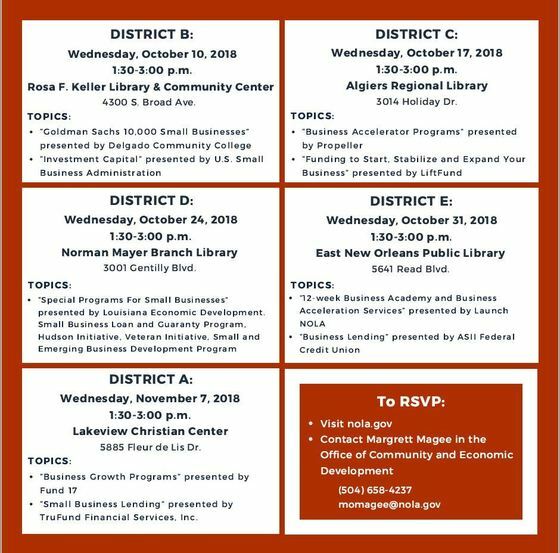 Click here to RSVP.